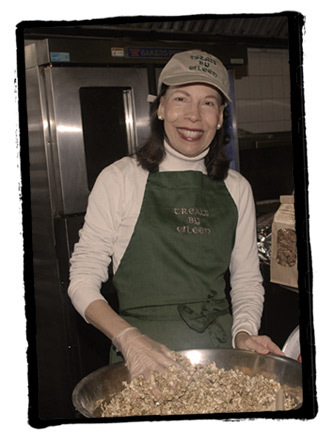 My journey into developing my own line of granola began years ago, as a young mother. I was always interested in serving my children healthy snacks and worked at trying new recipes for nutritious treats for them. I took classes and read books about health and nutrition, inspiring me to create my own health conscious snacks. My children's favorite growing up was my homemade natural granola. For years, I would wake up early and go into the kitchen and make ten pounds of granola. Then I would give away the granola to friends and family as gifts. They all devoured it! Even the mailman loved it! It came to a point that my granola recipients urged me to market it and share it with others. My granola has now been on the shelves of many gourmet and health food stores since 2005. Aside from the All Natural Gourmet Granola, we now offer other varieties such as Cashew Craisin, Vanilla Almond and Chunky Chocolate. Now you too, have the opportunity to enjoy what everyone is marveling about! Our customers are in love with your granola! We never worry about running low because our customers remind us on a regular basis! It’s our best selling granola by far! Eileen, I love your all natural granola … Such a great healthy snack; but also just sweet enough to be my only cookie treat. My family is a huge fan of your granola. I am a nursing mother with a very fussy baby and was very excited to find such a delicious cereal and snack that caters to all food groups. Copyright © 2019 Eileen's Treats, LLC, All Rights Reserved.